Ioana Ciuta is energy co-ordinator at CEE Bankwatch Network. Europe has long been grappling with air pollution but after twenty years of joint efforts EU citizens can gradually breathe more easily. In the Western Balkans, however, the situation is far worse. Every year, thousands of people in countries bordering the EU get sick or die prematurely due to air pollution, but even reliable data on air pollutants is hard to come by. The authorities’ approach to the problem has been so poor that some communities who neighbour power plants and mines are now asking to be relocated. Over the past eight months Bankwatch has been monitoring dust pollution in communities across the region, and the incredibly terrible levels we have recorded clarify that this is nothing short of a crisis. The EU, which is regularly working with Western Balkan governments to upgrade their energy and environmental policies, has an important role to play. People in Macedonia, Montenegro and Bosnia-Herzegovina have already taken to the streets to protest the polluted air they are made to breathe. They pay with their health for unchecked air pollution from traffic, household heating and electricity generation. In fact, the most recent EEA air quality report, using 2013 data, estimated that PM 2.5 pollution alone kills 18,310 people in Bosnia-Herzegovina, Montenegro, Serbia and Macedonia every year. So, everybody knows the situation is bad. But the findings from our air quality measurements in communities in four countries in the Western Balkans, and in Bulgaria and Romania have astonished even us. What all these communities have in common is that they are home to ageing coal power plants and open-cast lignite mines, which play an important role in aggravating air quality. Worryingly enough, governments are nowadays promoting plans to build even more coal units in most of these towns. In the first ever independent air quality monitoring in these places, we wanted to assess the levels of particulate matter (PM) pollution. Our results indicated disturbingly high levels of both PM 10 and PM 2.5. In Tuzla, Bosnia and Herzegovina, we found high peaks during night time. 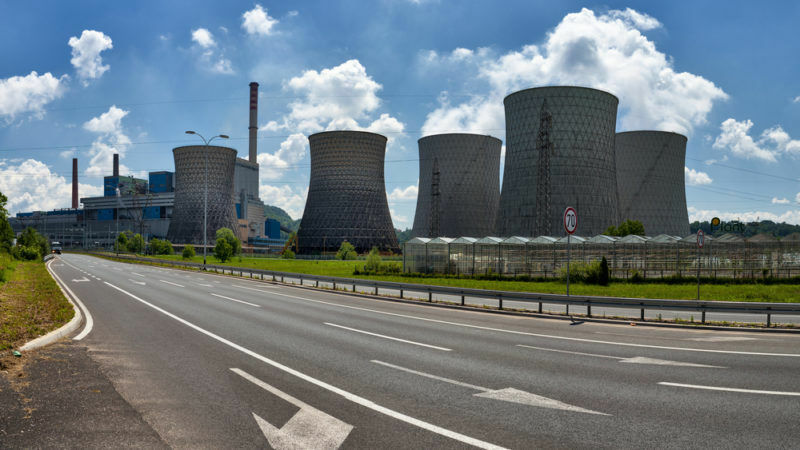 Air pollution levels skyrocketing as soon as it gets dark, after 19:00 local time, suggest that the pollution filters at the Tuzla power plant, the main source of air pollution, might not function properly or are even turned off during night time. PM 10 hourly concentrations at night were on many occasions above 100 micrograms/cubic metre including some values above 300, while the day time concentrations were on average in line with the EU and WHO recommended limit of 50 µg/m³ per 24 hours. Meanwhile, in Serbia, the law stipulates that the PM 10 limit may be breached in no more than on 35 days over the course of one year, just like in the EU’s Air Quality Directive limits. But over just 30 days of our measurements in the village of Drmno, the legal limit for the daily average for PM 10 was breached on 16 days. The same limit for PM 10 daily average was breached on 21 of the 35 days observed in Pljevlja, Montenegro, while the EU limit for PM 2.5 was exceeded on 29 of the 35 days observed, or 83% of the time. In Bitola, Macedonia, pollution levels were so high that after only a few days the machine’s filters and measurement chamber were contaminated and it had to be sent for clean-up and re-calibration. Across the board, people from the local communities we have visited while performing the air quality measurements all said the situation is so desperate the only way for them to protect their health is to relocate their communities. But where would they all move? And who can guarantee that the air would be better in the next location in the absence of air quality regulations in all contributing sectors – energy, mining, industry, transport and household heating? Accurate, regular and publicly available air quality data is a crucial condition for tackling the problem. It is questionable why the responsible authorities, such as the local environmental inspections or agencies, do not prioritise such locations when placing the official monitoring stations. Both types of PM should be attentively monitored, but much greater stress should be put on PM 2.5 which is the more harmful of the two, as PM 2.5 particles are lighter and go deeper into the lungs, causing greater long-term damage. They also stay in the air longer, for days or weeks, and travel farther – up to a few hundred kilometres. In the EU, it seems, not a season goes by without hearing of an infringement procedure on the topic of air pollution. In April, the European Court of Justice ruled against Bulgaria for failing to stay within the allowed PM 10 limits and for failing to take action to keep the exceedance period as short as possible. Just last week, Romania received a letter of formal notice for failing to ensure proper monitoring of air quality throughout the country. But the paradox of air pollution is that while its sources are easy to identify and locate – such as open-cast lignite mines or ash disposal sites – exposure to pollution, and particularly to fine dust particles, is not a location-specific problem. Pollutants travel for hundreds of kilometres and affect neighbouring communities and countries as well. As a result, pollution from coal power plants in the Western Balkans affects, not only its adjacent communities, but also those in neighbouring EU countries. Although European air quality is projected to improve in the future, further efforts to reduce emissions of air pollutants are urgently needed in the EU’s immediate neighbours in the Western Balkans. All countries in the region have air pollution legislation, albeit with much variation and often much more lenient than EU standards. But the issue of air pollution requires a regional response. The Energy Community, the body tasked with adjusting energy policies in Europe’s south east to those in the EU, is also where a coordinated action to tackle air pollution can be devised. What this region needs is a long term vision that prioritises carbon-free energy generation sectors across the region, putting energy efficiency first, cleaner or alternative fuels for all modes of transportation, and strict enforcement of air quality standards. And it is where the Energy Community Treaty can play a pivotal role in setting the tone for a level playing field and bringing forth joint efforts to tackle the problem through timely and strict monitoring of implementation and enforcement of air quality legislation.